Parenting “Experts” are everywhere. They’re there to tell us exactly what to do in just about every situation, usually with the moralistic, judgmental attitude of… well, parents. Parents voluntarily subject themselves to these “Experts” and their opinions because parenting is stressful, and it’s nice to think other people have this stuff figured out. In order to examine the ongoing biological, philosophical, moral, and psychological debates that other people have about raising your children, Full-Time Dad presents Parenting Expert Wars. Today’s topic is First Bite: How We Learn to Eat. I did something this week I’ve never done before: I ate beets for dinner not once, but twice. It’s a notable moment in my gastronomic experience, for you see, I hate beets. I’ve heard beet lovers say they enjoy the pleasant “earthy” taste and “sweet” undertones of the red, golden, or chioggia varieties. To me, they’ve always tasted like dirt clods pulled straight from a ditch. I’ve had such an aversion to beets that Kathleen has avoided buying them for three years, beet lover though she is. This week, however, I started on the deliberate process that once seemed ridiculous: teaching myself to like beets. Many people believe that what we enjoy eating is innate. In First Bite: How We Learn to Eat, a fascinating exploration of human eating habits, Bee Wilson makes the case that what we like to eat is, in fact, learned. This is good news for people who want to instill a love healthy food into their families. The science and strategies behind learning to eat well fly in the face of food advice we’ve been handed down for generations. Much of it is counterintuitive, but for people who are desperate to get their kids to mix in some greens, this book is a beacon of hope. Opening at four months and closing at seven months, this flavor window is the one short period of time where humans are receptive to all sorts of new flavors. By waiting until six months to introduce new foods, you are effectively throwing away two of the most valuable food training months you will ever have. It is during this period that you should introduce a large variety of flavors in tiny amounts–half a teaspoon here, half a teaspoon there– to your child early and often. Conventional wisdom says the one-food-per-week standard helps identify food allergies. If you introduce too many foods at once, goes the thinking, then it may be hard to determine which food caused which reaction. Conceding food allergies as a known risk, Wilson argues that the long-term benefit of familiarizing your child with a variety of flavors far outweighs the detective work required to untangle food allergies you may come across in the early going. Finally, Wilson is not a fan of starting off with bananas and sweet potatoes. These flavors are basically gimmes that just about every baby likes. Why waste this precious window on something universally palatable? To truly take advantage of this flavor window, you should start your child off with the challenging vegetable flavors that children typically reel from. This is your moment to serve up tastes of broccoli, Brussels sprouts, or even my dreaded beets. Do it on the regular and it will give you a runway to introduce delicious vegetable dishes when your child starts eating with the adults1. You are, in effect, teaching your child the exact opposite behavior you want to instill: broccoli bad, dessert good. The key here is to not treat healthy food as healthy, per se. It’s to serve healthy food in delicious forms over and over again to encourage enjoyment of said food. By exposing your family to flavors regularly, they move from the scary category of “new” to the well-understood category of “things we eat.” The childhood bugbear of Brussels sprouts can go from “eww gross!” to “yummy” with enough exposure3. And make sure you don’t force a child to eat all of their broccoli, says Wilson. 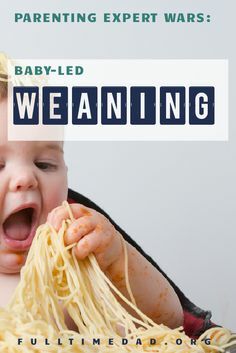 As long as your child takes a tiny taste– this can be a nibble as small as a grain of rice– her neural network is rewiring itself to accept the taste as familiar. It may take 10, 15, or 20 times before your child will eat brassicas with enthusiasm, but it will happen because eating food is a learning process, and like anything else worth learning, it takes practice. By encouraging a love of the foods that you want your family to eat and eliminating dessert-related threats from your parenting repertoire4, you can encourage a healthy relationship with all food. If you had a grandmother who grew up in during the Great Depression, then you probably know what it’s like to be encouraged to eat, eat, eat every bite of food on your plate. Clean your plate, waste is bad, don’t you know there are children starving in Africa? Moreover, there are cultures around the world where leaving any morsel food on your plate is considered rude, a slap in the face of the cook. The Clean Plate Club is a time-honored parenting and cultural tradition, but sadly one that destroys a person’s relationship with hunger. Hunger is a tricky beast, one that is not really measurable in any useful way. Listening to your body tell you when to stop eating is a skill that takes willful practice. This process is disrupted when the signal to stop eating is not provided by our internal physical mechanisms, but through external visual cue of an empty plate5. We also have to learn how to tolerate a bit of discomfort in between meals. Constant snacking and grazing may prevent whining, but it never gives your kids’ bodies a chance to learn the physical sensations that accompany normal eating patterns. I come from a family of picky eaters. My sister Bethany, for instance, doesn’t like tomatoes6, and my brother David’s narrow palate generally ranges from pizza, steak, and meatball sandwiches to a nostalgic preference for McDonald’s cheeseburgers7. I was not much different. I grew up refusing to eat spaghetti with any sort of sauce on it, and in college I developed a fast food-only palate that sent me down a near-fatal road. Over the course of a decade, I ate my way to a gargantuan 321-pounds. Picky eaters seem to be stuck in a mental place where they believe they will only ever like the foods they currently eat. What First Bite compellingly argues is that almost anyone can learn to like new foods. The paradox is that you have to want to do it. This is why we call things “acquired tastes.” I think back to the days when trying to learn to like Scotch whisky. Those first glasses were like drinking glasses of smoke that burned my throat and chest. I couldn’t tell you the difference between Laphraoig and Jack Daniels, but the perceived sophistication of being a Scotch drinker was worth figuring out what people saw in that stuff. Eventually, I developed a discerning enough palate to be able to taste beyond the generic burning alcoholness, and now I have strong opinions on Islay vs. Highland single malts8. Turns out, just about everything is an acquired taste, we just don’t realize that most of the tastes we have today were acquired well before we were two years old. Now I am trying to acquire a taste for beets. I have made a conscious decision that I will learn to like these dirt-tasting root vegetables. It will take some time, but I bet in a few months, I’ll be ordering beet salads at restaurants. I have already cultivated a genuine enjoyment of roasted Brussels sprouts9, kale, kimchi, kohlrabi, artichokes, and sunchokes. If there is hope for me, there is hope for everyone who wants to learn to like healthier foods. Bee Wilson would probably take issue with my characterizing her as a “parenting expert.” Her epilogue is titled “This Is Not Advice,” insisting it’s not much use to tell people what to do. Instead, Wilson points to the swath of scientific research used to support her conclusions, and then sort of says “Do with this information what you will. I won’t judge.” But her own struggle with food has led her down a career path that has taught her that eating is a skill and our palates are more about relationships and memories than they are about food10. There is a lot more to this book. Wilson deconstructs how we treat boys and girls differently around food, and how our distressing biases of “boy food” and “girl food” lead us to feed our children in the exact wrong ways. She explores hunger, why it’s so hard to define, and how to re-learn our relationship with what is otherwise a normal physical sensation. And she analyzes the change in the Japanese food culture, demonstrating how, in less than two generations, an entire nation went from bland, undernourishing cuisine to the 21st Century yard stick against which all other national cuisines are measured. Whether you’re a recovering picky eater like me, a concerned parent looking to encourage a healthy relationship with food, or just somebody who finds human behavior fascinating, you should pick up a copy of First Bite. It is a bright silver lining on the very dark cloud of our horrifying food culture. In fact, it is part of the crappy parenting advice lauded by Dr. Leonard Sax in his half-crazy The Collapse of Parenting, which I reviewed here. It is not that hard to make Brussels sprouts taste good. You just have to know your way around a kitchen. You can’t encourage healthy eating for your family to eat healthy, delicious foods if you aren’t serving them in your own household. A modern approach to this recursive negotiation is simply: “You don’t have to eat it,” and let your child decide. Do not make it a fight, the power is in her hands, after all. Worse still: when your Depression-era grandma heaps yet another helping of food onto your plate with a big, warm smile. Who knew grandmas could be so destructive? Which makes me very sad for her tastebuds. A Caprese salad with heirloom tomatoes at the height of summer may just be the world’s most perfect dish. David, eight years my senior, used to take me to McDonald’s all the time when I was a kid. I used to love McDonald’s, and going with him are some of my favorite childhood memories. But since I’ve taught myself to enjoy a wider range of foods, I can’t bring myself to go there anymore. French fries aside, I find their food to be genuinely gross, and not even the nostalgic memories can make me smile at the thought of a Big Mac. Although they are about food, too. Too much to agree with on this post. The relationship with food is something that I too struggle with, and I can definitely see how much of it is rooted in childhood. I can’t say I particularly like beets, either, and it’s taken me years to start to tolerate eggs, (which is ironic, considering my folks now keep chickens). I’ve also only recently been able to appreciate mustard again after a childhood incident where I reportedly ‘nursed’ from a mustard bottle. More generally, as a kid, I managed to pick up that brussel sprouts where the thing that kids ‘weren’t supposed to like’ purely from pop culture, as far as I can tell; I don’t think my family never ate them, so I never learned otherwise. I also inherited a parental aversion to eggplants and avocadoes. Having eventually tried all of those foods, well, it turns out that eggplant is alright, fried brussel sprouts are delicious, and that I absolutely love avocadoes in almost any form. Though there are still gaps in my palette, now I’m the one in my family with the crazy food stories, who’s sampled basashi and will happily slather on some habanero hot sauce given the opportunity. A wider food horizon has kind of reinforced the other problem you mentioned, though. The ‘clean your plate’ conundrum and/or overeating issue is something I’m all too familiar with, as is learning to better understand hunger. As part of my own efforts to improve my health, I’ve followed various flavors of the 5-2 diet, the restricted-eating days of which have been eye opening. This is probably now going tangential to child raising (something in danger of being filed under ‘bad parenting’), but I’ve personally found it to be much easier to not eat than to control my amounts when I do. On the 5-2 diet, I’ve found it easier to skip a meal altogether than to eat three smaller portions. Fasting also turns out not to be so hard, and oddly enough, the hunger from fasting is often less intense than the craving for food I’ll get normally. I think eating makes you hungry; once your digestion gets going, it primes you to want more. Another hard part of maintaining healthy habits is the vagaries of life. A social engagement is almost always a green light for me to pause a diet. And when I do eat, it’s very difficult to deal with the slippery slope of staying to moderate proportions and resist the easy, unconscious availability of snacks. If I might make a semi-practical suggestion; get small plates. I’ve read a few things that talk about how plate size will subconsciously influence our portion size. Having lived in Japan, I can attest to this first hand as one of the things that helped me to eat healthier there. Speaking of Japan, that little blurb about Japanese cuisine changing over the years certainly got me curious. I know that it has recently become more westernized (to the point where some in the younger generation is now starting to trouble with stereotypically ‘western’ weight and health issues), but I don’t recall hearing anything about an earlier change. Also, ‘Boy food’ and ‘girl food’ isn’t really something I’m particularly familiar with.